SKU: . Category: Deck & Engine Room. 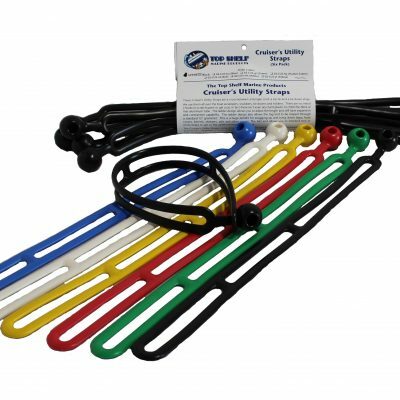 These Cruiser’s Utility Straps are a cross between a bungee cord, a zip tie and a tie down strap. 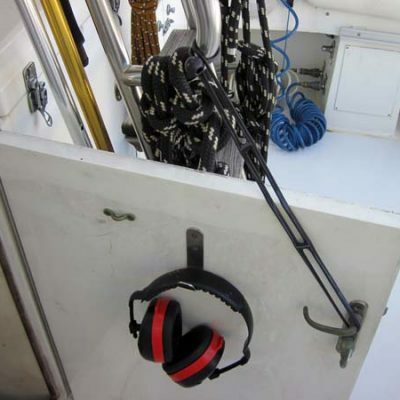 We use them all over the boat as keepers, snubbers, tie downs and holders. There are no metal J hooks to scratch paint or gel coat, in fact there isn’t even any hard plastic to chink the deck or mar aluminum tube. The ladder design allows you to adjust the length and still have expansion and contraction capability. 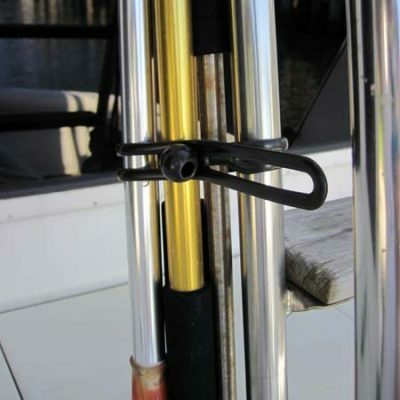 The ladder design also allows the tag end to be looped through a standard ½” grommet. 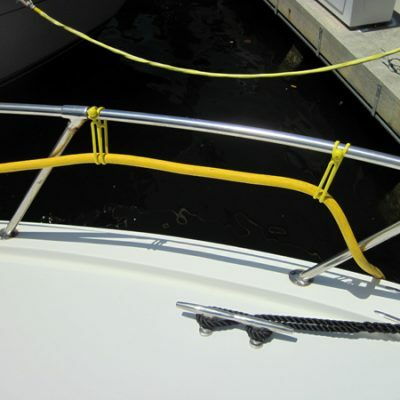 This is a huge benefit for snugging up and tying down tarps, boat covers, biminis, dodgers, sails and other covers. You’ll find tons of other uses; you just need to have an ample quantity on board!! 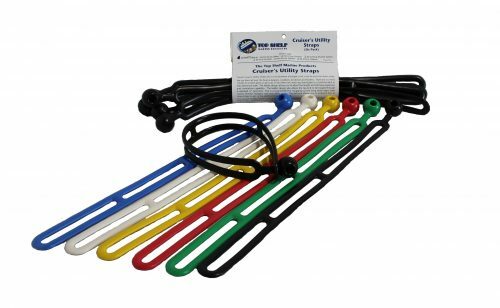 The Cruiser’s Utility Straps are proudly made in the United States.